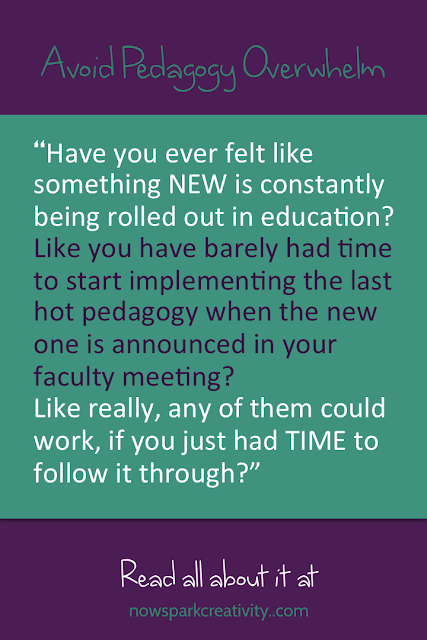 Have you ever felt like something NEW is constantly being rolled out in education? 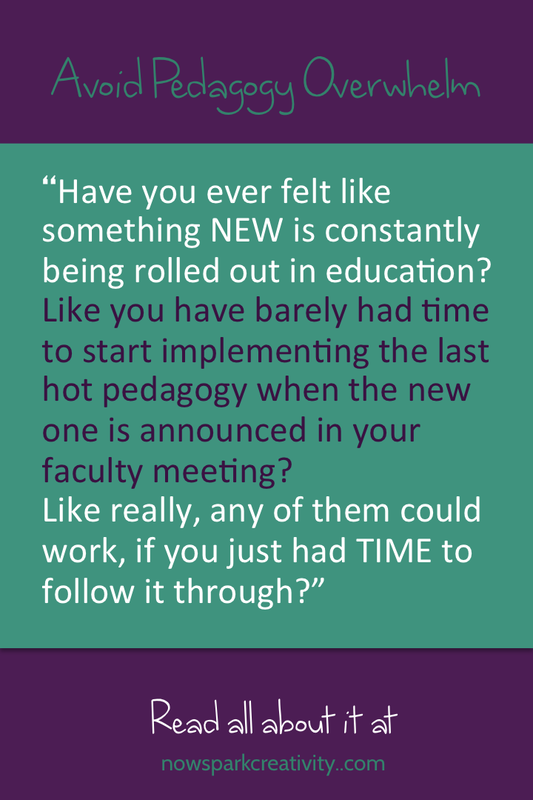 Like you have barely had time to start implementing the last hot pedagogy when the new one is announced in your faculty meeting? Like really, any of them could work, if you just had TIME to follow it through? I made a useful decision early in my teaching career to let these waves roll over me, leaving behind one useful tool in my teacher toolkit instead of a complete classroom shift and total overwhelm for all concerned. There are so many intriguing teaching strategies out there, and so many people who will tell you that they have THE ONE. But do they really? Haven't plenty of students learned and achieved great things before "the one" even existed? I have fallen in love with many different pedagogies - showcase projects (check out the podcast on this subject, episode #1), Harkness discussions, online portfolios, journaling, literature circles, fishbowl discussions, reader's workshop, differentiation, and many more. But what would my classroom look like if I dove in whole hog to any one of them? When I attended the Exeter Humanities Institute after my first year of teaching, it was clear that the educators there used the Harkness discussion method constantly in all their classes. Their students' ability to work as a group to understand material was undoubtedly growing explosively. But when I returned to my own classroom, agog with the wonders of Harkness, I wondered what it would be like for my students to use it every day. How would the shy students cope with learning exclusively through discussion? What of the many units I had planned that relied on other strategies that I loved? How would students feel when they entered their next classroom, where the teacher might not use Harkness at all? My conclusion was that while I loved this new discussion method, it was yet another tool for engagement that I would trot out when the time was right. Probably once or twice a week, and probably not for the entire period. But how wonderful those slices of engaging discussion would be! The same was true when I read Nancie Atwell's The Reading Zone, and fell in love with free choice reading. Much as I might have liked, in the moment, to give over my entire curriculum to free choice reader's workshop, it was not practical for my situation or my students. So what to do? I built an independent reading program that I could combine with what I was already doing. My mantra is that every strategy can enrich my classroom. It is another tool in my toolkit. It is NOT the new normal. When you craft your classroom schedule around a variety of interesting pedagogies, suddenly each unit is filled with different ways to engage students. All your learners can thrive, and you learn what works best for you and your students. I have found this shift in thinking to be really useful. The longer you teach, the more new political and school administrations are going to roll out new ideas. 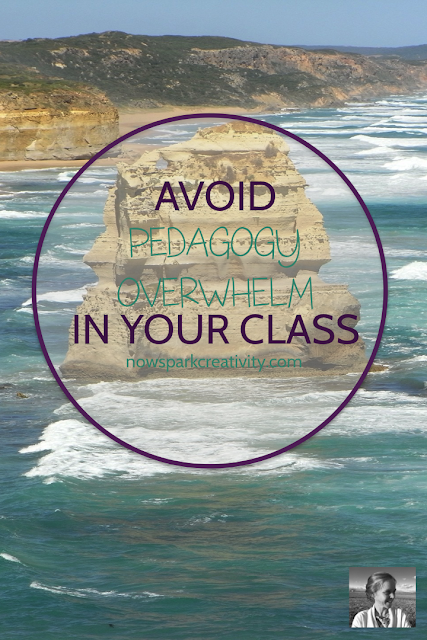 The more you read and learn about teaching strategies, the easier it is to get overwhelmed by all the options. But if you make this one little mindset shift, that every option is just that, an optional new tool to use whenever the time is right, then new ideas and changes can enrich your classroom instead of overwhelming it. 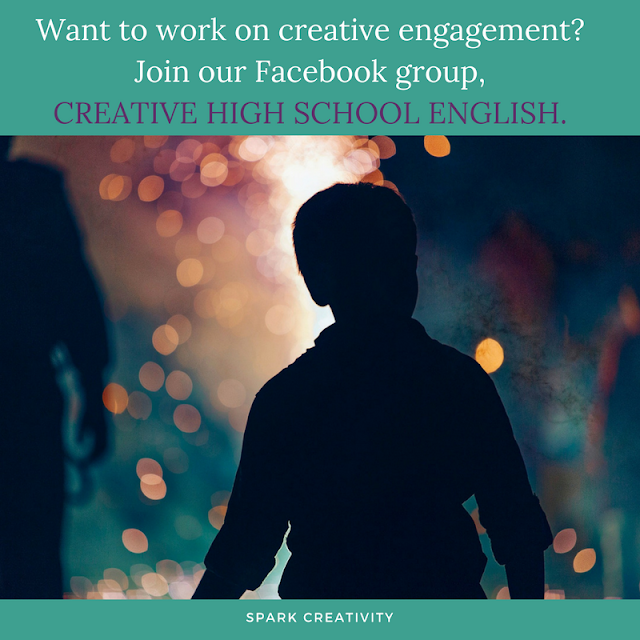 Join our online group and find new ideas for your toolkit every week. Plus, get support for when you DO feel overwhelmed by it all.